The National Oceanic and Atmospheric Administration’s (NOAA) Marine Debris Program would like to know how marine debris impacts you and what you are doing about it. The winning artwork will be showcased in a 2011 planner that will help in raising awareness about the global problem of marine debris. Additionally, the winners will be featured on the Program’s website and in their newsletter, reaching over 200,000 people each month! About the NOAA Marine Debris Program - Established in 2005, the NOAA Marine Debris Program supports national and international efforts to research, prevent, and reduce the impacts of marine debris. The Program’s goal is to protect and conserve our nation’s natural resources, oceans, and coastal waterways from the impacts of marine debris. Eligibility - All students in grades K-4 and 5-8 from all U.S. states and territories–recognized public, private, and home schools are eligible to participate. Schools, including home schools, must be in compliance with federal and state civil rights and nondiscrimination statutes. Students must work individually. Criteria for Art & Description - Each entry must be composed of a piece of artwork and a description (on entry form). All must meet the requirements below. Students are highly encouraged to check out the rest of the NOAA Marine Debris Program website for information about marine debris. The entries must be on 8.5” x 11” paper. Use white, non-glossy paper; do not laminate. Any art medium may be used (e.g., colored pencils, crayons, paint); however computer graphics will not be accepted. Artwork must be hand-drawn by the student. Artwork must be flat (e.g., no glued pieces) and able to be scanned. A description of no more than 50 words must accompany the artwork (space provided on the entry form). Teachers may send in as many entries as they would like to; however selective screening would be greatly appreciated. Label each entry (artwork) on the back with student’s name, age and grade, along with the teacher’s name, school name, address, and telephone number. Entry Form - There should be one entry form filled out per student. Please ensure that the entry form is filled out completely and legibly. All entries (entry form + artwork) must be submitted via mail (postmarked) no later than Tuesday, June 1, 2010. 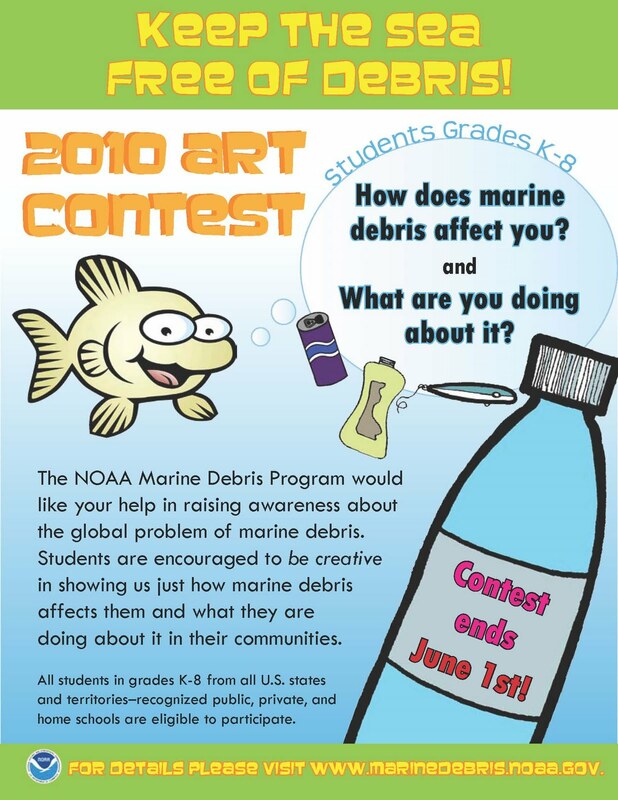 Competition Process - A NOAA awards panel will collect all entries and select six from each grade category (K-4 and 5-8) and one overall winner. Entries (artwork and description) will be judged on the creativity, artistic presentation, and relevancy to the theme. June 1, 2010 - Deadline for postmark of completed entry form + artwork. July 1, 2010 - Winners will be notified. *Please note that entries will not be returned. If you have any questions, please contact Carey Morishige at Carey.Morishige@noaa.gov or (808)397-2651 x256. Beautify CNMI announced the winners of their annual Environmental Champion and Environmental Steward Awards. The awards were given out to recognize individuals, organizations, and businesses that have proven to be environmental leaders in volunteering and advocating for the environment in the Commonwealth. Awards were presented, April 24th at the Flametree Arts Festival’s main stage at 10 AM. 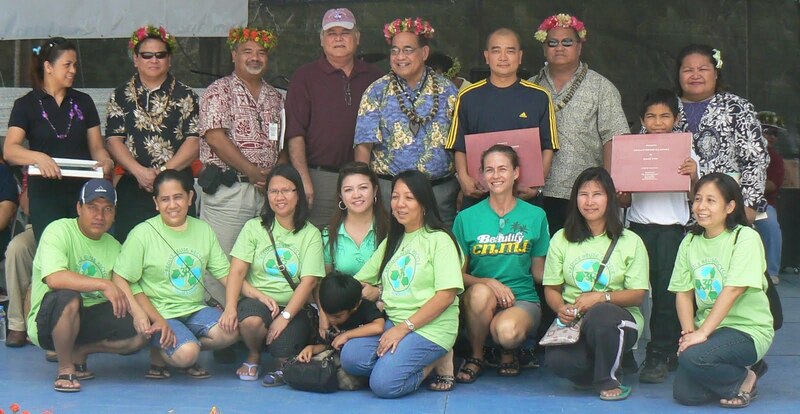 This year Beautify CNMI will recognize CTSI Logistics Team Members and Frank Camacho as the 2010 Environmental Champions. CTSI Logistics, a Tan Holdings company, adopted Susupe Park in January 2009. Since, then they have been providing clean up and improvement projects every last Saturday of the month. Projects include trash pickup, graffiti removal, restroom restoration and the installation of trash and recycling bins. Employees, often with the participation of management, regularly participate in cleanups, including the recent island wide cleanup. “For CTSI, the Susupe Park Clean Up Project means a pro-active role in saving not only the trees, shrubs and plants in the part as it is also meant to take care of our park facilities by doing our share for this wonderful community,” shared Ariel L. Mariano, volunteer and Tan Holdings employee. Frank Camacho is being recognized for his role as the Community Block Captain with the DanDan Neighborhood Watch program where aside from patrolling the neighborhood, he initiated a community cleanup effort with a special focus on the DanDan Children’s Park. In July 2009, Camacho initiated the cleanup of the DanDan Children’s Park along with a Team of the Neighborhood Watch volunteers. The group started by cleaning and clearing the surroundings, the parking lot, the basketball court and the benches and tables. Eventually, they were able to clean up the restroom facility and restore power. Camacho continues to enlist village residents and pled with elected leaders to assist in continuing cleaning up efforts across DanDan. “It’s hard to know where to start when you are wondering if anyone else cares or wants to help. Frank demonstrated that it just takes the willingness to unite and to get involved to help our community,” said Laurie Peterka, Beautify CNMI Volunteer PR Coordinator. This year Beautify CNMI will recognize Shirley’s Coffee Shop and Angelo O’Connor Villagomez as the 2010 Environmental Stewards. Shirley’s Coffee Shop is being recognized for their outstanding efforts in setting an example as excellent community partners. Shirley’s exemplifies what an Environmental Steward is all about – adopting a spot, helping clean and beautifying their adopted area every month and inspiring others to care for our beautiful islands. Shirley’s has been a coalition partner of Beautify CNMI! since its inception four (4) years ago. “We appreciate that Shirley’s staff and management continues to participate and spread the Beauty Virus – they helped start the concepts and continue to lead by example,” shared Cinta Kaipat, founder of the Beautify CNMI! coalition. Angelo O’Connor Villagomez is being recognized for his untiring efforts with numerous environmental volunteer activities, dedication to teaching and encouraging others and leading by example. Since first helping to spearhead Beautify CNMI! in 2006, Villagomez organized and attended literally hundreds of trash cleanups and tree plantings. In 2008, Villagomez helped lead the community outreach and public education effort that lead to the creation of the Marianas Trench Marine National Monument. Villagomez is a spirited environmental leader working on issues from his heart. “Angelo’s energy and enthusiasm helped take our efforts in cleaning up Saipan to a whole new level. He is missed, but we try to carry on in the path he helped us get started,” said Joe Kaipat, Department of Environmental Quality and strong Beautify CNMI! member. Beautify CNMI hands out the Steward and Champion Awards each year in Spring. Nominations are taken from the community at-large and the Beautify CNMI Committee Chairs select winners. Past winners include Aqua Resort Club, Friends of the Mariana Islands, Marites Castillo, Kathy Yuknavage, Captain Carl Brachear, Adam Sablan, Katie Busenkell, Rose Callier, Mike Tripp, Marianas Dive, Nava Khorram, Max Aguon, Paseo de Marianas Promoters, Bree Reynolds, Tan Holdings, Laurie Peterka, Ken Kramer, and Friends of the Marianas Trench Monument. Beautify CNMI! is a coalition of concerned citizens, private groups, and government entities united to enhance the CNMI's natural beauty and foster community pride in its residents and visitors. The coalition was a recipient of a 2007 EPA Environmental Award and received a Certificate of Commendation from the United States Congress in 2009. Saipan, Northern Mariana Islands - Beautify CNMI will announce on Saturday, April 24 the winners of their annual Beautify CNMI Champion and Beautify CNMI Steward Awards. The announcement will be made during a ceremony at the 29th Annual Flame Tree Arts Festival main stage at 10am. "This is the fourth year we are giving out awards to recognize the individuals, organizations, and businesses that have proven to be leaders in volunteering and advocating for the environment in the Commonwealth," said Cinta Kaipat. This year Beautify CNMI will recognize an individual and an organization/business in each award category. The four award winners have been invited to accept their awards. Beautify CNMI hands out the Steward and Champion Awards each year in Spring. Nominations are taken from the community at-large and the Beautify CNMI Committee Chairs select winners. Past winners include Aqua Resort Club, Friends of the Mariana Islands, Marites Castillo, Kathy Yuknavage, Captain Carl Brachear, Adam Sablan, Katie Busenkell, Rose Callier, Mike Tripp, Marianas Dive, Nava Khorram, Max Aguon, Paseo de Marianas Promoters, and Bree Reynolds, Tan Holdings, Laurie Peterka, Ken Kramer, and Friends of the Marianas Trench Monument. Starting yesterday, the public began seeing neon-colored violation stickers on junk cars throughout the community. The Zoning Office is now implementing the island-wide junk vehicle removal program with the help of the Saipan Mayor's Office and two recycling companies-Basula Producto and Saipan Triple Star. Once a sticker is placed on a car, the owner will have 28 days to remove it themselves and avoid a fine from the Zoning Office. If a junk vehicle obstructs the right of way on a road, then the owner will have 48 hours to remove it themselves. “I am very grateful that this program is finally beginning because all of the junk vehicles present problems to the island's image. This program's implementation is long awaited for and we're going to ensure that these eyesores get removed as soon as possible in effort to instill back the beauty our island deserves,” said Zoning Office acting administrator Therese Ogumoro. Ogumoro encourages all owners of these vehicles to comply with the notices to avoid stiff penalties and to visit or call the Zoning Office to obtain information for proper disposal. “Owners should know that once a violation sticker is placed on their junk cars, time starts ticking and they should comply with the notice's time-frame. We'll give no exceptions.our island deserves to look beautiful and safe for our children, residents, and visitors as well,” said Ogumoro. Owners of junk car vehicles will be required to pay violation fines if they fail to remove their scrap vehicles. For more information, call the Zoning Office at 234-9661 or visit their location on the second floor of the Joeten Commercial Building in Dandan. 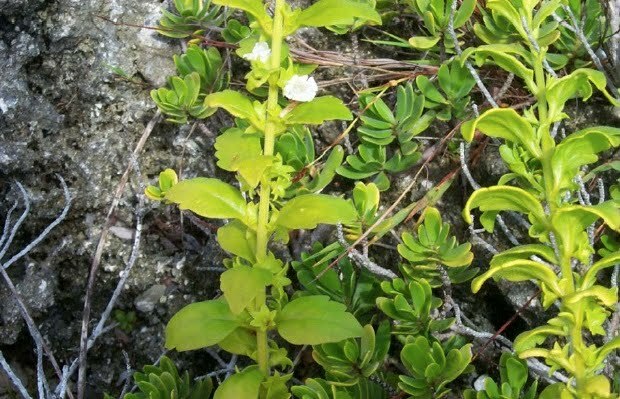 According to the Bonner County Daily Bee, the Pacific Region of the U.S Fish and Wildlife Service is initiating a five-year review of three rare plants found only in the Northern Marianas Islands and protected under the federal Endangered Species Act. The reviews, announced Wednesday, include plant species Nesogenese rotensis, Osmoxylon mariannense, and Serianthes nelsonii. All are currently listed as Endangered. As part of the reviews, FWS is opening a 60-day public comment period for the submission of scientific and commercial information relevant to their listing status under the act. The public, government agencies, tribes, industry and the scientific and conservation communities are asked to submit information by June 7. However, the agency accepts new information about any listed species at any time. According to FWS, A species could be recommended for reclassification from endangered to threatened or be removed from the federal list of threatened and endangered species. Any recommended change in classification would be subject to a separate rule-making process that includes opportunities for public review and comment. If no change in classification is recommended, the species would remain under its current listing status. Serianthes nelsonii (Fire tree, Trongkon guafi) is a native tree that is endemic to the Mariana Islands. The flower is a deep pink pompom, similar to the Monkeypod. 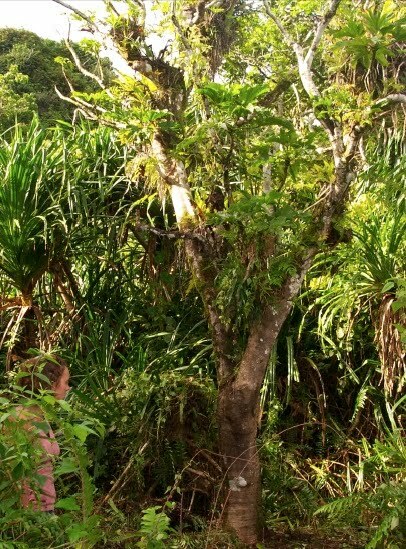 This large tree can grow to about 2m in diameter and over 30m in height. On Rota, there are approximately one hundred and twenty-one trees in upper elevation forests. Nesogenes rotensis is a very small herbaceous, creeping plant with pointed toothed leaves. It has small white flowers with five petals that develop anywhere along the branch. It grows in small clumps with many branches growing in different directions. The leaves are greenish-yellow, and it often grows under other low lying shrubs, making it very difficult to see. The only known population of N. rotensis is found along the rocky coast of Pona Point on Rota. 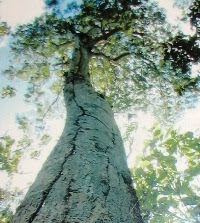 Osmoxylong mariannense is a soft-wooded tree that is endemic to Rota. These trees are only found in the Sabana area of Rota at high elevations. They grow to about 10m in height. The fruit of O. mariannense is a cluster of large dark blue berries at the end of branches. Here is link to more info on Serianthes nelsonii from the University of Guam. The deadline to submit nominations for the annual Beautify CNMI Steward and Beautify CNMI Champion awards is this Friday, April 16. The 2009 Environmental Champion winners were Tan Holdings, Laurie Peterka, and Ken Kramer. The winners of the 2009 Environmental Steward award were the Friends of the Monument. Send nominations to Laurie Peterka at beautifycnmi@gmail.com or mail them to PMB 112 BOX 10,000; Saipan, MP 96950 or call 483-7499 for more information. Enjoy the festivities and cultural exchange at the Paseo de Marianas April 15th! There are 25 members from the Tokyo Tensuiren group from Koenji Japan and the 50 children members of the Saipan Awaodori Team ages 6 to 16 years old. Click on photo below to see the performance schedule. SPECIAL THANK YOU TO FIESTA RESORT & SPA FOR HOSTING THIS MONTH'S MEETING! 2. Signature events need to be promoted all throughout the year from the beginning so that we can establish continuity. 2. Indentify if it is re-occurring? 3. How many volunteers do you anticipate or did you have? 5. Which Tan Holdings entity is responsible? 6. If trash collection – how many pounds? 7. If other kind of cleaning what is/was the goal and what was accomplished? i. Website – maybe we can use a Google site to be able to upload attachments and refer the link from the blog, but otherwise keep it dark? DEQ's Environmental Awareness (EAM) Committee needs you to lead your crew on April 23rd to "Pick it Up!" Be the leader in your village, your company or your agency and get your co-workers or family organized ASAP. Being the leader is SO easy --- make a plan with friends or co-workers to walk out your front door and pick up trash. That's it. It is recommended that groups plan to spend approximately 2-hours cleaning. Your area coordinator will provide you with supplies, so all YOU have to do is SHOW UP with YOUR TEAM! o Let's show the world that trash has a place and it's NOT on a beach or in a park or in the street. o Let's work together for the health of our coral reefs and cleanliness of our beaches. o Let's make it a family day and show our children how important it is to put trash in it's place. For more information about signing up your dream-team for the Island-Wide Clean-Up, please contact Jonathan Arriola at 664-8500 or 8501 or via email jonathanarriola@deq.gov.mp. This month's meeting will be hosted by Tan Holdings.